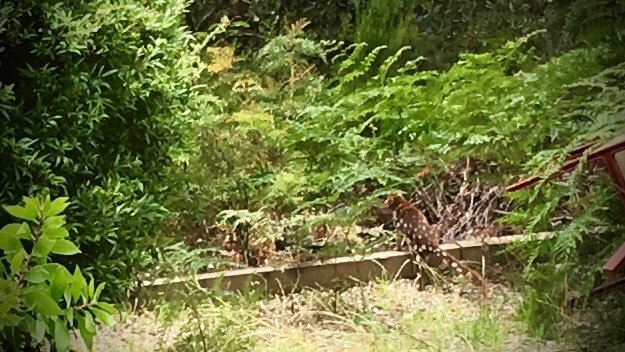 We’re very excited to be able to confirm something we’d suspected, but couldn’t prove: Bunjaree Cottages is home to at least one spotted-tail quoll! 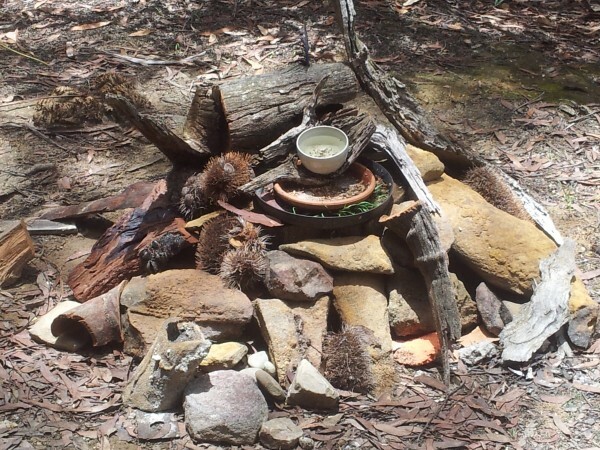 The quolls aren’t endangered in NSW, but habitat loss has made them rare. 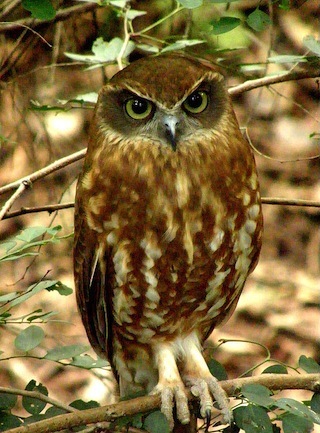 Since they’re also nocturnal, sightings are even more uncommon. Thanks to @stilgherrian on Twitter for catching and posting the photograph. The spotted-tail quoll is the largest marsupial carnivore on the mainland, and throughout Australia it’s second only to the Tasmanian Devil. 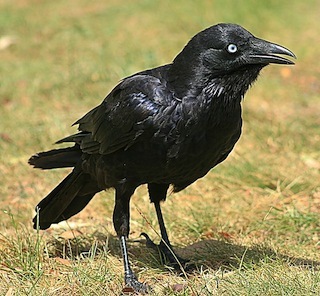 They often climb trees in search of prey – often possums or birds. We’re so happy to be able to share this news with Bunjaree Cottages’s friends and guests. Bunjaree Cottages would like to thank the RFS volunteers, along with all the emergency services personnel and interstate volunteers, for their wonderful work during the recent bushfires. Without their dedication and effort, the devastation from the three huge fires that threatened the mountains could have been so much worse. Our hearts go out to those who have lost their homes, and we would like to direct your attention to the Blue Mountains Mayoral Relief Fund, which you can find here. 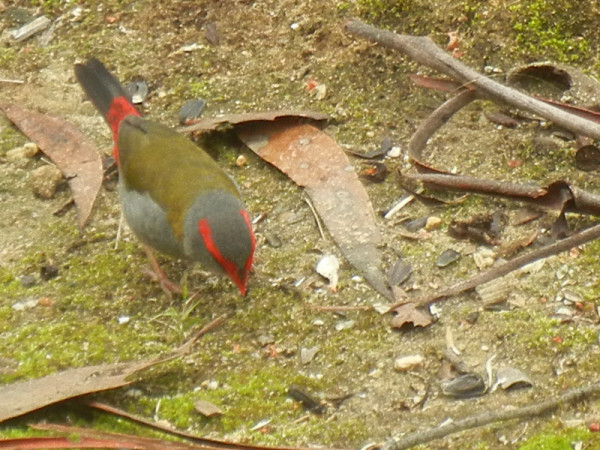 Many thanks to our friend Stilgherrian for this photo of one of Bunjaree Cottages’ more difficult-to-capture friends, the Red-Browed Finch (also known as the Red-Browed Firetail). These are grass-feeders that like to stay near dense undergrowth so they can hide from danger. 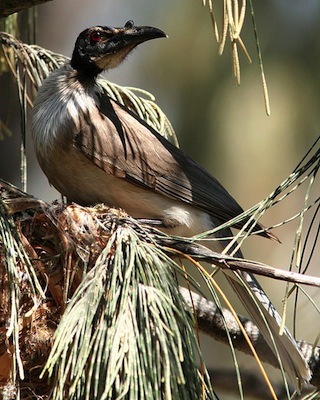 They live mostly east of the Great Dividing Range, but their territory reaches all the way around to South Australia. 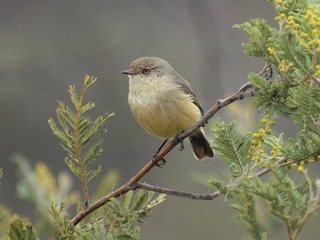 They’re mostly sedentary, so there’s the chance to spot them all year around – and to hear their short, very high-pitched whistling calls. We’re excited about this – very excited. 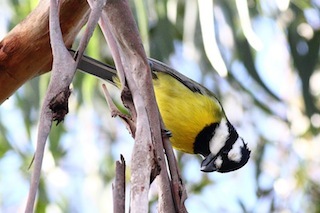 Bunjaree Cottages is a great place to spot birds. 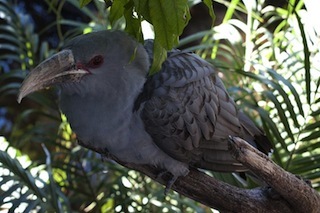 In fact, our feathered residents are hard to miss! 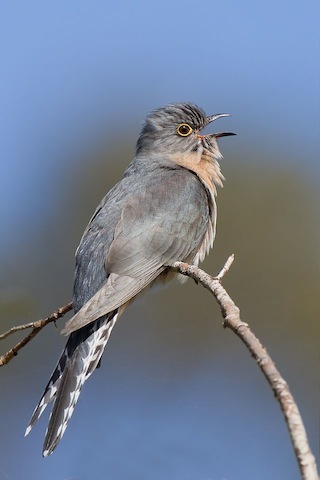 Now, we are thrilled to announce weekend birding tours under the guidance of one of the Blue Mountains’ most experienced and respected birders, Carol Probets. 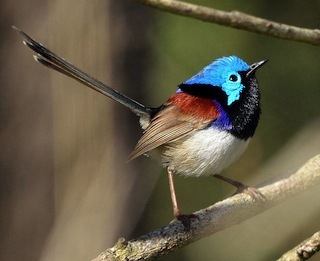 The self-drive weekends will feature guided walks at a range of high-quality bird-watching spots around the Blue Mountains – as well as viewings right here at Bunjaree Cottages. 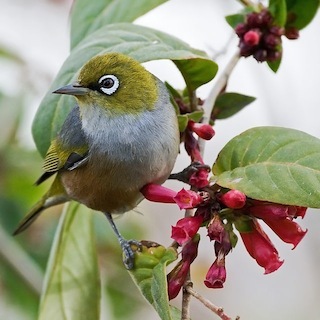 Katoomba and Surrounds – depending on the time of year, Carol will lead a viewing so you can catch the rich birdlife of Katoomba’s woodlands, heaths or swamps. 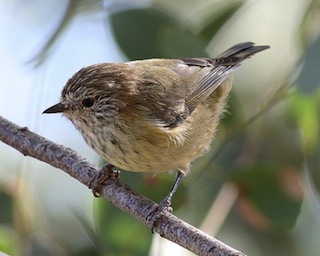 Bullaburra – has accessible locations ideal for observing forest birds. 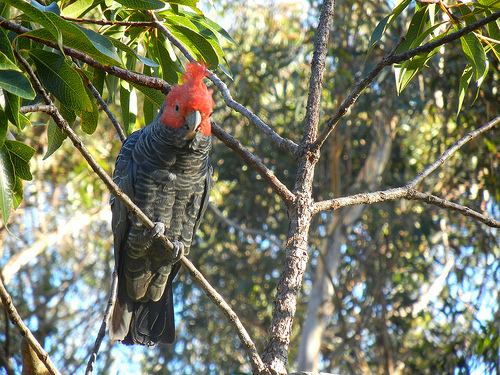 Wentworth Falls – spots only a few minutes’ drive from Bunjaree Cottages for heathland birds, including the Glossy Black-Cockatoo (which is common, but seen less often than the more impressive Yellow-tailed Black-Cockatoo). The rate will be $620 per cottage for the weekend – with Carol’s guided viewings included in the price. Extra guests will at our normal rates, and for an extra $30 we will pre-stock your cottage with supplies for breakfast. The weekend will also feature beginners’ instructions in topics like using binoculars and field guides, and the basics of bird identification. We will be announcing the first date during March or April very soon. 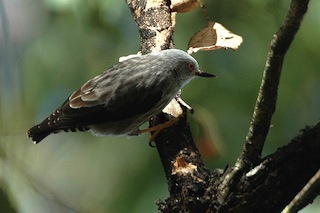 E-mail us if you would like to be notified of our Bunjaree Bird-Watching Weekends. If you want to know more about Carol, her Website is here. *Exact viewing sites will vary by time of year. 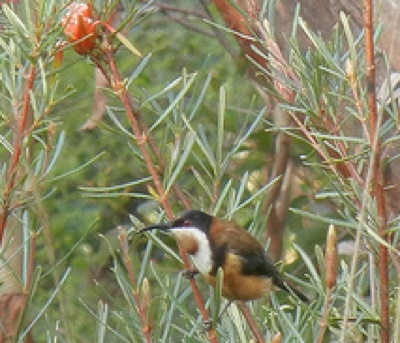 We have had a treat, and it’s going to be a treat for Banksia Cottage guests as well. A guest, a decorator by profession, traded a couple of extra nights for paint. It seemed like a good deal to us – but only after the work was finished did we discover just how good! I’ll need to do the photography properly, rather than just using my camera-phone, but here are a couple of teasers to give you the idea. 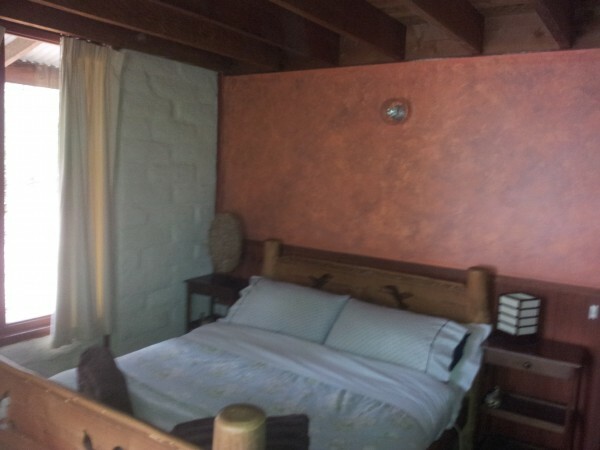 First, Banksia’s master bedroom. What follows was once a fairly nondescript wall in the hall. The loft now has a lovely unity with the colours of the mud bricks. I wish I were a photographer! 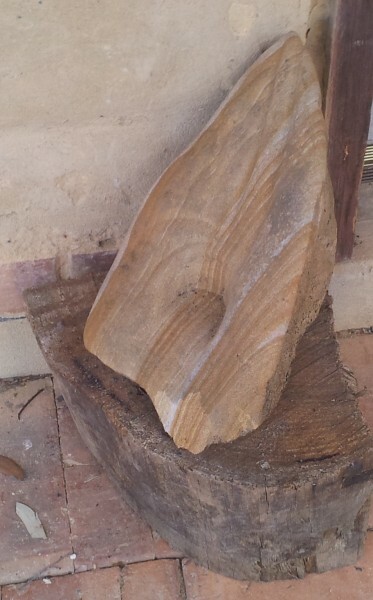 – Our wonderful guest also re-imagined the idea of a bird feeder. 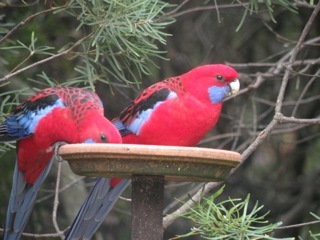 And yes, the birds like this a lot more than a plate on a stick! We had one last surprise: a little rock carving that apparently occupied the evenings! 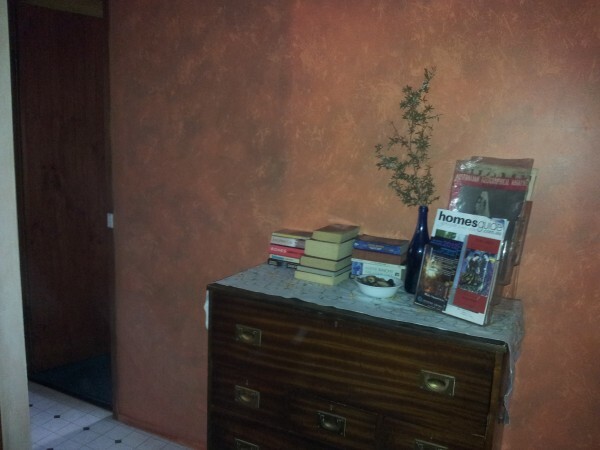 If anybody in Melbourne needs a thoughtful and creative decorator, ask us and we’ll put you in touch with him! As 2012 draws to a close, Trudi and Richard would love to wish all our guests a Merry Christmas, and our best wishes for 2013. It’s a privilege being able to host people at Bunjaree, and it’s wonderful having guests tell us how much they love the environmental values we’re trying to bring to our four wonderful cottages. There are few things as precious to us as listening to the various species of frog in the “dam”, or watch the small birds flitting through the bush. Love and blessings and good health to all, and don’t be a stranger in 2013! We’ve taken the liberty of posting a page of Visitors’ book comments – all from 2012, none older than September. We have taken this liberty after being dive-bombed on TripAdvisor – where we don’t get a chance to respond in any detail (we tried, but could only get posted with a generic “sorry” message). So I can’t tell TripAdvisor what we would say to guests: if something is not right, tell us. We will always do our best to help! 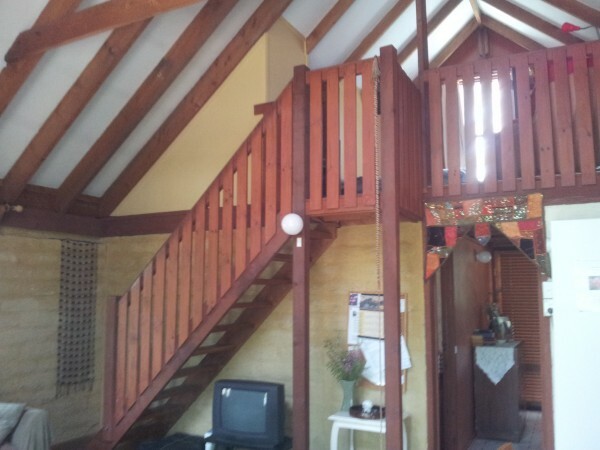 Bunjaree Cottages is our labour of love, and a site like TripAdvisor can be devastating to a business operated by a husband-and-wife team. We hope, however, that our guests who have bothered to take up a pen and write are worth listening to! The Christmas season is almost here, and we’re fielding many, many inquiries. Except in the worst heatwave, the Blue Mountains is a great place to be in December, with most nights below 16 degrees. We’re seeing a profusion of wildflowers at the moment, and it’s a great time to get out and about in the longer evenings. Get in touch with us to ask about availability and feel free to ask us about bushwalks and activities in the Blue Mountains!